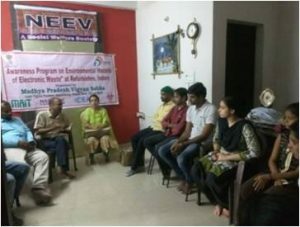 A workshop was organized at Rajive Gandhi Computer Sansthan with Computer mechanics. The program was attended by 21 computer mechanics. Mr. Rajendra Singh, Mr. Ashish Pare, Mr. Swati were participated as resource persons. In the workshop there was a detailed discussion on role of computer mechanics in E-waste management. Mr.Rajendra Singh and Ms. Kiren Pankudi explained the negative effects of E-waste on humanity. 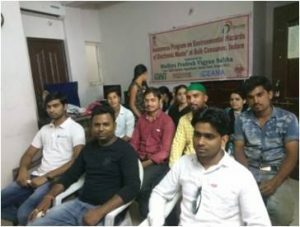 The participants were shown keen interest to learn more about E-waste management and assured us their association in future also.